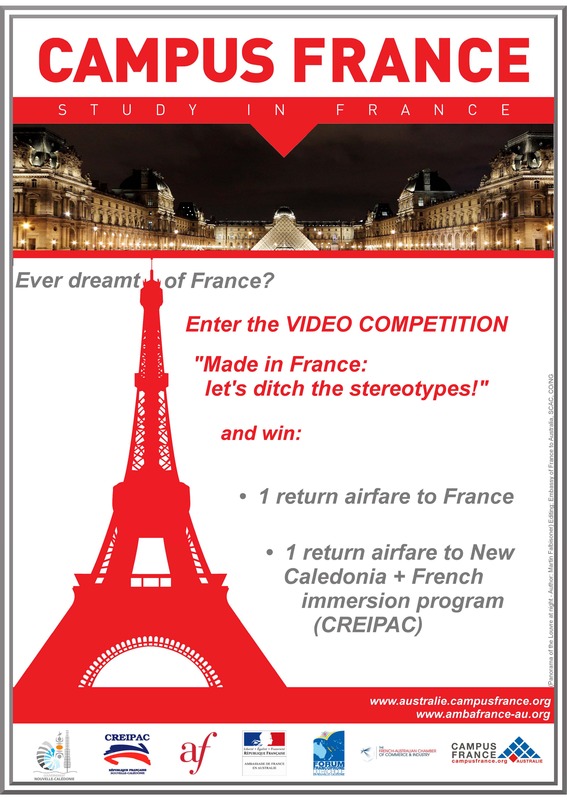 University video competition-win a return airfare for France ! We are writing to you as a result of discussions held at last year’s Australian Society for French Studies Conference in Queensland. During the conference, Post Graduate students in French Studies indicated that they would like to create a Forum through which they could communicate, exchange information and keep up- to-date with the work of other students around Australia and New Zealand. In particular, we discussed the possibility of establishing a Post Graduate Day at the same time as the Annual ASFS Conference so that post graduates could present their work and receive feedback from other post graduate students prior to presentation at the main conference. It was felt that this would be particularly encouraging for new students who had no previous experience in conference presentations. As there is no one site that would enable us to obtain a list of all post graduates in French Studies within Australia and New Zealand, we would be very grateful if you could either provide us with a list of post graduate students in your Department or under your supervision so that we can write to them directly, or, if preferred (and due to privacy reasons), forward this email to those students so that they can contact us if they wish to.